This book proposes a philosophy of care in a global age. It discusses the distinguishing and opposing pathologies produced by globalization: unlimited individualism or self-obsession, manifested as (Promethean) omnipotence and (narcissistic) indifference, and endogamous communitarianism or an 'us'-obsession that results in conflict and violence. The polarization between a lack and an excess of pathos is reflected in the distorted forms taken on by fear. The book advocates a metamorphosis of fear, which may restore in the subject an awareness of vulnerability and become the precondition for moral action. Such awareness and the recognition of the condition of contamination caused by the other's unavoidable presence teach us to fear for rather than be afraid of. 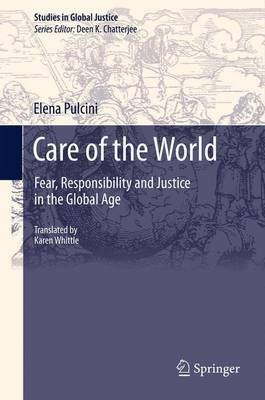 Fear for the world means care of the world, and care, understood as concern and solicitude, is a new notion of responsibility, in which the stress is shifted to a relational subject capable of responding to and taking care of the other. From a global perspective, the proposed vision of care also compels us to explore a new paradigm of justice.